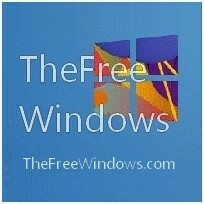 You are welcome to present your software to the visitors of TheFreeWindows, just note that only pure freeware is published. Commercial programs, even trial versions, will not be accepted. * Please check first to make sure your program is not already included in our pages. Just the name of your application without any other information. Main purpose, features, functions, future development goals, etc. (no more than 4 - 5 paragraphs). Try to be as clear as possible and objective. E.g. photo editing, convert photos, text processing, etc. Directly to the executable, or to the download page.